Are you ready to take to the streets of the steel city and the infamous hill? With Sheffield being built on seven hills, you’ll enjoy a city centre atmosphere for the start and finish, and be rewarded with views of the Peak District as you conquer the climb to Ringinglow. 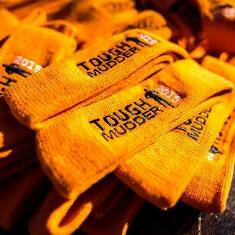 We’re delighted to be one of the official charities for the event. By 2030, one in two people will be diagnosed with cancer the number of people living with and beyond cancer in South Yorkshire will be 71,000, enough to fill Sheffield Wednesday's stadium nearly twice. Macmillan offers support with over 150 professionals working in the area. But we couldn’t do that without the support of people in our team. Help us make sure people with cancer live life as fully as they can. Join Team Macmillan, including our amazing supporter John Burkhill, aka The Man with the Pram and turn the streets of Sheffield green. 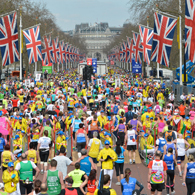 There are two ways to get yourself signed up for the Sheffield Half Marathon. Your Own Place: Public entry for the 2019 Sheffield Half Marathon is now open at the official race website. But we can’t do it without you. 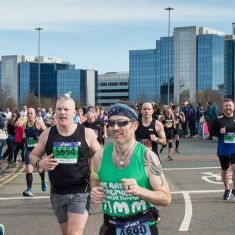 Join Team Macmillan for the Sheffield Half Marathon and we will treat you like the superhero you are from the moment you sign up through to when you cross the finish line. Life with cancer is still a life. Join Team Macmillan and help people live it. which could pay for a Macmillan support worker for one year.